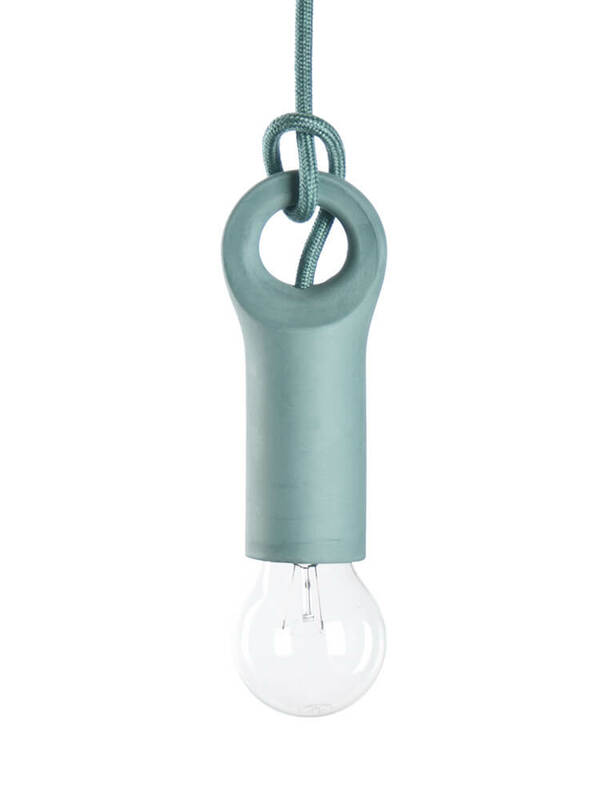 This pendant light was inspired by the eye bolts used for all kinds of heavy lifting purposes. How ironic it’s now used for lifting lighting. Create a playfull dinner table with a collection of these pendants in different colors or use one as a bed side lamp hang from wall mount. With this pendant the possibilities are endless. Create different looks by using a nice LED bulb or old fashioned incandescent one. 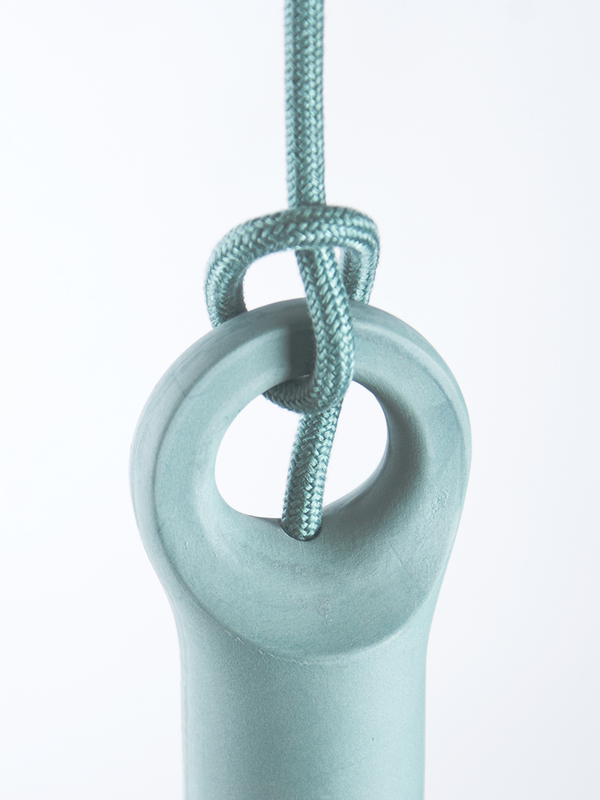 The lifting pendant is made by slip casting in plaster molds. They are made from stained porcelain in different colors like charcoal, tallow white and sage green. The porcelain body is lifted by a raw yarn woven cable in matching color.